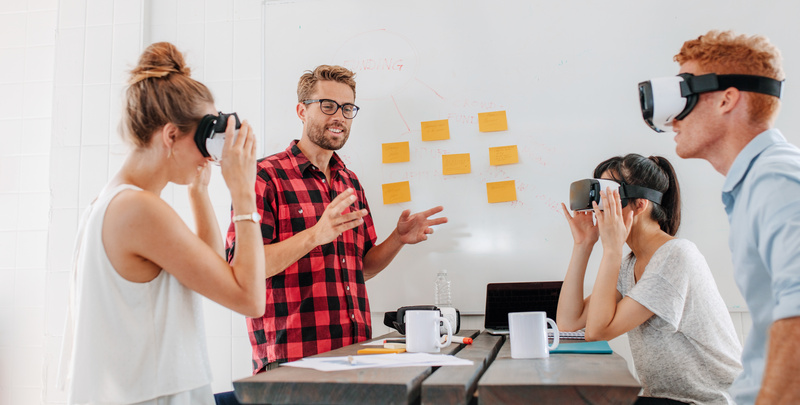 Countless articles, blogs, and opionion pieces have touted the positive implications of virtual reality (VR) on education, corporate learning and development, and healthcare education. And plenty of those sources feature pros and cons of augmented, virtual, and/or mixed reality. The time is right for senior executives, including enterprise strategists, operations leaders, product owners, and marketing heads, to map out how they might put [AR/VR] technology to use. LearnBrite has its finger on the pulse of the industry. 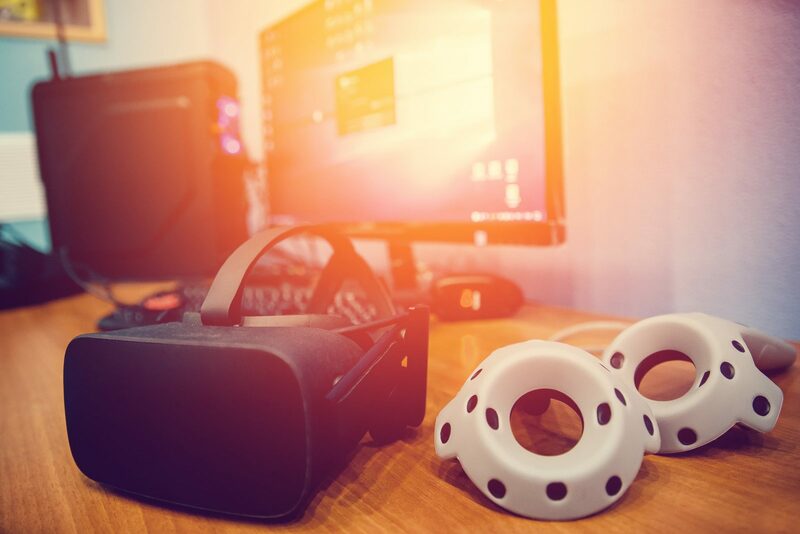 We’ve taken a look at some case studies from the medical field, enterprise, and higher education to show you the ins and outs of VR training and its benefits. Early in 2017, Barrow Brain and Spine in Phoenix, AZ became the first center in the Southwest to use a VR medical visualization platform. The technology allows doctors to view their patients’ anatomy and neurologic conditions like never before. Physicians can more easily work with patients to help them visualize and understand medical conditions. VR introduces an immersive understanding of treatment plans that supports a faster, smoother recovery. Precision VR is truly a breakthrough technology for neurosurgery that provides an immersive view that is instrumental to the visualization process and enhances the personalized treatment plans we facilitate for patients. The VR reconstruction also helps facilitate communication and build rapport by giving doctors a visual way to lead patients through their procedures. While Barrow uses VR to diagnose, treat, and communicate with patients, many in the healthcare industry are starting earlier. An increasing number of health professionals and educators seem open to the idea of using gaming to supplement and enhance traditional health education that has tended to focus on two extremes: direct patient contact and textbook-and-lecture-based learning. LearnBrite’s VR-ready eLearning tool allows medical students to learn in a risk-free environment. Our award-winning collaboration with Curtin University provides students with meaningful work experience. A virtual home visit walks students through a scenario where they interact with patients and caregivers, identify fall risks, and formulate a management plan. University faculty developed pedagogically sound learning objectives that were measured and evaluated. Research showed real improvements and outcomes—gamification increased student engagement. It also saves on time and money. Curtin University students can log in to the home visit via laptop, tablet, or virtual reality headset. The simulated environment allows for learning and re-learning so students can hone their skills and eliminate errors before training with a live patient. It can even expose students to rarer scenarios that they may not face in a real-life clinical setup. Walmart announced this Spring that VR would be an integral part in training over 140,000 associates each year. Brock McKeel, senior director of central operations, locked on to the idea after seeing how VR scenarios had helped college football players react more quickly to game scenarios. Associates log in to a virtual store space to learn how to interact with customers. They can see how their actions impact a customer’s experience and learn from their mistakes before ever having to leave the training room. Retention rates are higher for Walmart associates who go through VR training versus those who continued on through traditional training methods. And the learning goes beyond new associates. Walmart managers are virtually visiting other store locations to learn best practices and gain additional experience. No travel costs required. Lockheed Martin and Boeing are seeing the benefits of using VR and AR. Employees report that Lockheed Martin has significantly reduced “the error rate of integrating radar systems for navy ships.” Because of the intense precision needed, errors are expensive. Even one-hundredth of an inch of difference means costly repairs. AR and VR makes identifying errors easier and faster. Boeing is using AR and VR to speed up their maintenance process and for learning and development. They are hoping to reduce engineer training time by 75% by using the Microsoft HoloLens to teach engineers about equipment via text pop-ups and voiceover guidance. 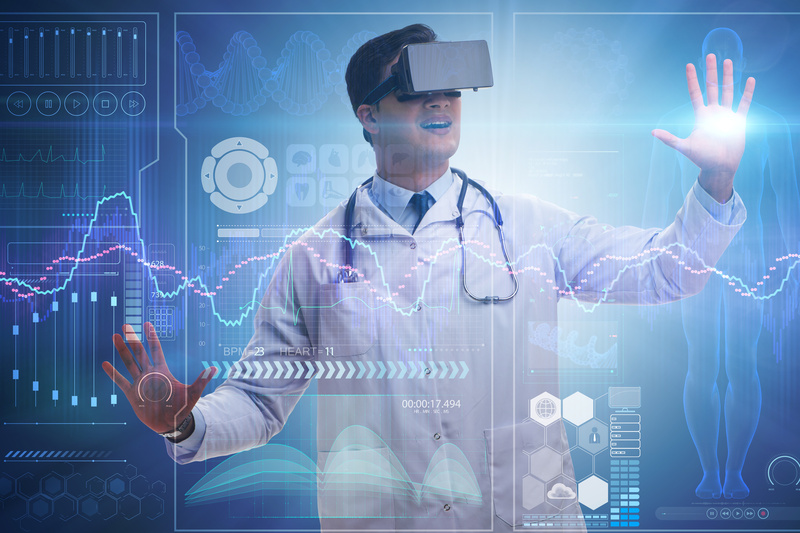 We’ve already looked at many ways VR can enhance and improve the medical field, both from a healthcare provider’s perspective and from an educational standpoint. But higher education has integrated VR beyond the medical field. Florida Gulf Coast Unviersity has created VIPER, or the Virtual Immersive Portal for Engineering Research. Their aim is to make this lab the centerpiece for a construction management program. Equipped with cameras, motion sensors, speakers, and computers, the room allows students to simulate and visualize building construction. Solving problems during construction is very expensive. Solving problems in a virtual reality environment can be very cost-effective and informative to the students and practitioners. The university is prepared to utilize the room for additional programs, as time permits. Even athletics could benefit from VR technology—biomechanics of an athlete’s technique can be captured, analyzed, and improved. 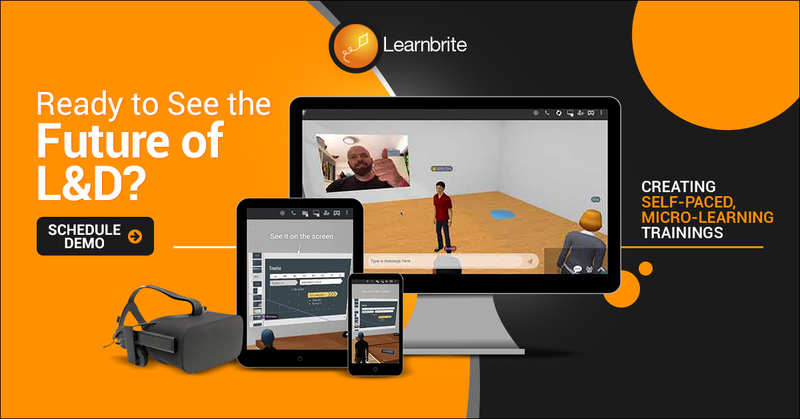 LearnBrite’s VR-ready, 3D learning suite helps professionals create highly engaging, gamified content that works across every device on all browsers at a fraction of the time and cost.